That would be Denmark now. Or maybe New Zealand. FORBES MAGAZINE HAS taken away Ireland’s crown as the best country for business – knocking the nation down to fourth spot in its annual rankings. The US business title, known as “The Capitalist Tool”, last year put Ireland ahead of New Zealand, Hong Kong and Denmark at the top of the pile. But this year the positions were reversed, with Denmark ahead of Hong Kong then New Zealand when nations were scored on 11 criteria – including things like trade and monetary freedom, and technology. Ireland was the equal top-ranked country for personal freedom, but got lower scores on its market performance (based on annual share returns), innovation, red tape, property rights and corruption. Forbes, which is renowned for its lists of richest people and top companies, praised Denmark for its “flexible labour market” and productive workforce in a list dominated by Scandinavian nations in the top 10. Companies can easily hire and fire workers with out-of-work adults eligible for significant unemployment benefits,” it said. Forbes said Denmark was also one of the most entrepreneurial countries in the world and its government had streamlined the startup process to include only 4 procedures for getting a business going – and at little cost. Last year Forbes gave Ireland top marks for its “low tax burden” and also sang the praises of the country’s economic woes as making it “more attractive for companies moving in” because average wages had taken a hit. But this year the country still came in well ahead of economic powerhouses like the US (18th), UK (13th) and Germany (20th) on the list. The African nation of Guinea ranked last. 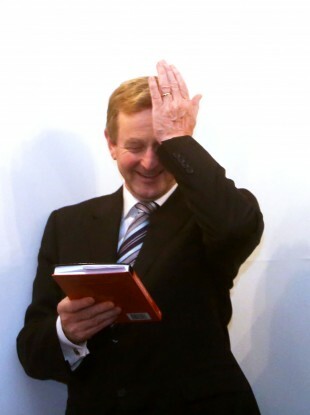 On the election hustings in 2011, Enda Kenny first produced the claim that Ireland could be “the best small country in the world in which to do business” within 5 years. The country recently came out on top in IBM’s 2014 Global Locations Trend report – which measures the value and knowledge added through foreign investment – although it ranked only 13th on the World Bank’s Doing Business 2015 survey. Email “Is Ireland the 'Best Small Country in the World in Which to do Business™?' Not any more...”. Feedback on “Is Ireland the 'Best Small Country in the World in Which to do Business™?' Not any more...”.